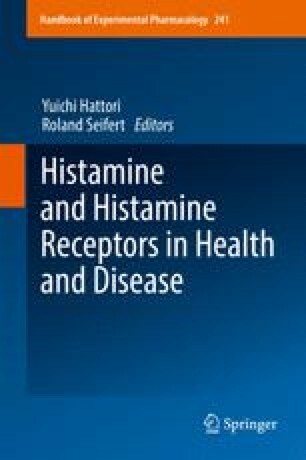 Several experimental techniques to analyse histamine receptors are available, e.g. pharmacological characterisation of known or new compounds by different types of assays or mutagenesis studies. To obtain insights into the histamine receptors on a molecular and structural level, crystal structures have to be determined and molecular modelling studies have to be performed. It is widely accepted to generate homology models of the receptor of interest based on an appropriate crystal structure as a template and to refine the resulting models by molecular dynamic simulations. A lot of modelling techniques, e.g. docking, QSAR or interaction fingerprint methods, are used to predict binding modes of ligands and pharmacological data, e.g. affinity or even efficacy. However, within the last years, molecular dynamic simulations got more and more important: First of all, molecular dynamic simulations are very helpful to refine the binding mode of a ligand to a histamine receptor, obtained by docking studies. Furthermore, with increasing computational performance it got possible to simulate complete binding pathways of ions or ligands from the aqueous extracellular phase into the allosteric or orthosteric binding pocket of histamine receptors.